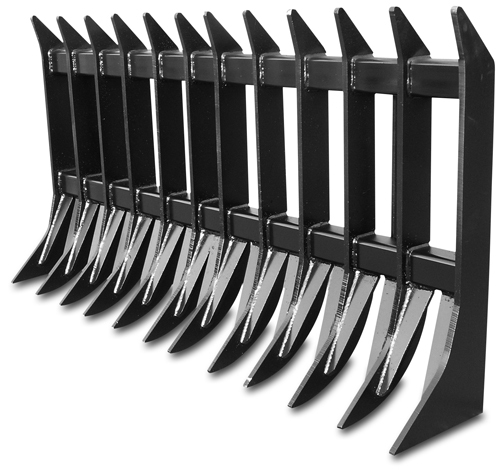 The X-treme Skid Steer Root Rake is excellent for rolling debris into tight piles for easy burning. It will easily remove large rocks, roots and other objects on and below the surface. The tines are made from top quality 5/8" steel and spaced on 6” centers. Tines spaced on 6" centers. Available Sizes: 66", 72", 84", 96".